European banking sector changed deeply in the last years as a result of the long crisis since 2007. The branch experienced a lot of different events, such direct recapitalizations and nationalisations. Nobody could have bet for it before 2007, but the banking landscape in Europe is quite different. ECB figures show this dramatic change. From 2008 to 2012, almost 600 banking institutions disappeared and assets dropped 12%. The peak of the restructuration process took place in 2009. Mergers and resolutions finished, for instance, the savings’ bank sector, which had 50% of the market in Spain. It seems that it happened long time before, but we should not forget the nationalisations of ING in Holland or Hypo Real Estate in Germany happened three or four years ago, just to point two cases in which countries were not intervened by the troika. In the bail-out side, Spain needed €40 bn to recapitalized four banks, amongst them Bankia. Now, Spain and Ireland seem to be at the end of the bailout programme. European banks have to deal now with new regulations. Not only Basel III capital requirements will influence in the balances and future bank investments, but also the next European single supervisor. ECB is going to repeat the stress tests for the banking sector and, although there is more confidence than before, some investors still have some doubts about the capital strength of the branch. 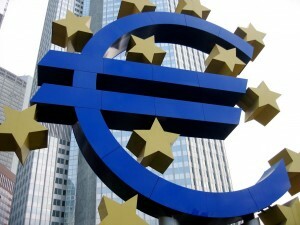 One of the most important trends in the European banking sector is the concentration. Following the ECB, big banks have a bigger market share, amongst them in Germany, Italy and Spain. European bank ranking by assets shows that UK, Germany and France are at the top. The question now is the real strength of European banks. Are they a good business in the stock markets? As the European Banking Authority stated, there is still uncertainty about the quality of banks’ assets and valuation, because of the loans lent to companies and building sector. It is just a question of time to discover the real truth for investors. This entry was posted in News and tagged Bailout, Basel III, ECB, European Banking Authority, Stress tests on November 18, 2013 by Oscar Garcia.